Have a good time with the best mobile slots game! 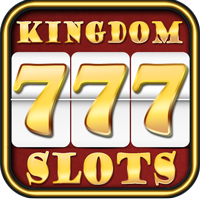 Play Kingdom Slots ™ casino video slot machines game for magical payouts on the Kingdom slots! Play Happy Summer, Farm Village,Pirates, Lion King, Pharaoh Treasures, Fashion Season, Vegas Seven, Gladiator, American Presidents and more! All our slots machines have exciting bonus rounds. We've packed them full of colorful graphics and impressive slot machine sounds to make your playing experience as realistic as possible. To get started, just download Kingdom Slots from Appstore and have fun!